Why Do I Need A Course? How Does The Neck Lift Treatment Work? Using the advanced Radio Frequency (“RF”) based technologies from PureGenex is the most advanced non-invasive, non-surgical skin tightening and lifting treatment available to provide amazing neck lifting and skin tightening results, whilst also boosting collagen production. The ProSculpt uses a controlled combination of Vacuum Targeted Radio Frequency and PhotoDynamic (Light) Therapy to precisely target and heat the collagen fibres within the treatment area. This ensures direct delivery of the RF energy to the treated area to achieve optimal skin tightening, conditions and toning results. Existing collagen tissues shrink, providing an immediate tightening and plumping effect. Old, fibrous collagen is denatured and broken down by the body. Fibroblasts (the cells that create new collagen) are stimulated to create new, fresh, supple collagen. As the collagen contracts and is restructured, the dermal tissues are lifted and plumped, achieving a more supple, youthful appearance. Vacuum targeted radio frequency with electronic impedance matching continuously monitors the impedance within the dermal tissues and adjusts the energy output to ensure optimal therapeutic effect, whilst also maintaining complete safety. How does this have a skin tightening effect? Loose skin due to weight loss or ageing of the supporting tissues appears wrinkled and lifeless. Old, fibrous and dis-organised collagen fibres are unable to support the skin. Our revolutionary Skin Tightening treatments achieve immediate lifting and tightening effects as existing collagen fibres contract, as well as longer lasting tightening, smoothing and lifting as new collagen is produced. A massage oil is applied to the treatment area, then the Neck Lift treatment commences. The advanced technology generates heat in the subcutaneous layer, causing the existing active collagen to contract, delivering immediately tighter feeling skin. The RF energy also selectively denatures (breaks down) the old, inflexible collagen and stimulates the re-growth of fresh, healthy and flexible collagen fibres. With successive treatments, this cumulative effect will deliver long lasting results! The Photodynamic Therapy energy is absorbed gently by the skin, conditioning and toning the surface tissues to provide a more even skin tone and youthful glow. The laying down of fresh, new collagen fibres results in skin remodeling, taking place over 3-6 months and lasting up to two years, although “top up” treatments every 6-9 months can prolong this effect. The volume of collagen increases in a more organised structure. This reduces the appearance of fine lines and wrinkles, whilst also providing tighter, plumper firmer feeling skin. Altogether a more youthful, supple and smoother complexion is achieved. Each of the combined therapies operating within the Neck Lifting treatment are what we call “cumulative therapies”. This means they work immediately during each treatment but, in order to achieve optimal results, a series of treatments is required over a period of weeks. This enables the time needed in between treatments for the body to react naturally to the stimulating effects of the therapies and re-construct the tissues being targeted to naturally achieve the objective; smoother, tighter and more supple neck and jowls. If you are a healthy adult, over the age of 18, the answer is usually a resounding “YES”!!! Superficial metal or other implants in the treatment area, such as crowns and bridges. Current or history of skin cancer, as well as any other type of cancer, or pre malignant moles. Severe concurrent conditions, such as cardiac disorders. Impaired immune system, such as AIDS and HIV, or use of immuno-suppressive medications. Diseases which may be stimulated by light at the wavelengths used, such as history of Systemic Lupus, Erythematosus, Porphyria and Epilepsy. Patients with a history of diseases stimulated by heat, such as recurrent Herpes Simplex in the treatment area, may be treated only following a prophylactic regime. Poorly controlled endocrine disorders, such as diabetes or Poly Cystic Ovary. Any active condition in the treatment area, such as sores, psoriasis, eczema or undiagnosed rashes. Facial laser resurfacing and deep chemical peeling within the last 3 months, if face is treated. Any surgical procedure in the treatment area within the last 3 months or before complete healing. A number of medical conditions and diseases can be contraindicated for the treatment. They must be checked with your doctor. For some contraindicated conditions and medications and/or supplements we may need a certificate from your doctor regarding suitability of the treatment in order to perform the treatments. If you are in any doubt and the answers to your questions are not contained within this site, please feel free to contact us and we will be happy to discuss the treatments with you in more detail. What happens when I come for treatment? Gentle oils or cooling gel (dependent upon area being treated) will be applied to the treatment area. This is to ensure optimal transmission of the therapeutic energies into the dermal tissues. The treatment is then configured and the treatment head applied to the treatment area. The machine is then switched on and the treatment head is moved across the targeted area(s) several times to ensure complete coverage. After treatment the skin will be cleaned of all oils and gel, leaving the skin feeling smoother, more supple and rejuvenated. Is the Neck Lifting treatment similar to Axent or Thermage RF treatments? The treatments leverage radio frequency energy in much the same way as Axent, Thermage and other RF-based skin tightening treatments. However, the unique combination of PDT with the latest and most advanced vacuum targeted radio frequency technology, enables our treatments to deliver the best non-surgical face and neck lifting and skin tightening results possible. How quickly will I notice a change? Gradual improvement of the treated area can be seen following the first treatment – with the skin surface of the treated area feeling smoother, more supple and tightened. With a course of treatments, these results will be cumulative. Once the course is completed, final results in lifting of the face and neck, skin rejuvenation and tightening will be most apparent after 6-8 weeks. How do I improve and maintain the results of my Neck Lifting treatments? After completing your course, it is recommended to periodically have maintenance treatments. Like any non-surgical or surgical aesthetic techniques, the results will last longer if you follow a balanced diet and exercise regularly, as this provides a stronger platform to maintain your new, healthier complexion. Most clients have told us that the treatment is extremely comfortable and pleasant, feeling like a gentle tissue massage, followed by a deep heating sensation beneath their skin. Most patients find the treatments extremely comfortable and liken them to a warm deep tissue massage. The treatments are customised to accommodate your sensitivity and comfort level, which will be closely monitored by the technician throughout the treatment. It is normal to experience a warm sensation for a few hours post treatment. Your skin may also appear redder than usual for several hours, but this subside very quickly. Yes. The combined energies applied by the PureGenex platforms are extremely safe and the entire process is completely non-invasive. The process has undergone examination and assessment by several medical bodies. We use the most advanced technology available and have one of the most experienced technicians in the country providing treatments, so you are in extremely safe hands. Will I be able to drive after my treatment? Yes. The treatment is completely non-invasive and has no “down-time”. You are free to carry on with your normal daily activities immediately after treatment. What do I do whilst the treatment is taking place? During the treatments, you will need to lie back with your eyes closed. Each treatment lasts between 15 and 30 minutes, so we recommend you relax and enjoy the warming sensation of the treatments as they work to smooth, lift and rejuvenate your skin. I have lost weight and been left with loose skin. Will the treatment work for me? Absolutely! 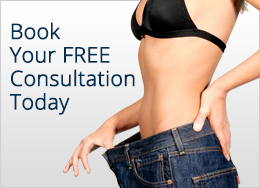 Our Skin Tightening Treatments are extremely effective at rejuvenating loose skin after significant weight loss. In severe cases, more than one course may be required to achieve the desired results, but this is something we can discuss with you during the free consultation. Who can be treated with the PureGenex technologies? Due to the non-invasive nature of our Skin Lifting and Tightening treatments, they are suitable for both men and women that wish to look their best and do not wish to endure the costs and risks of cosmetic surgery. However, there are a small number of clinical conditions that would prevent treatment, please check the “Can I be Treated” tab on this page for more details. If you have any specific questions or requirements, please contact us for more information. All testimonials are the opinion of the individual. Any results described or claimed within these testimonials are specific to that individual customer. Results can vary and there are many factors that effect the results achieved by each individual customer, including but not limited to lifestyle, age, diet, etc. As such, we are not able to provide guaranteed results. We will commit to engaging with you as a customer to achieve the best results possible in your given situation.